Our week in Florida is going wonderfully, I’ve been enjoying spending time and catching up with family, going for warm morning runs, and eating out. 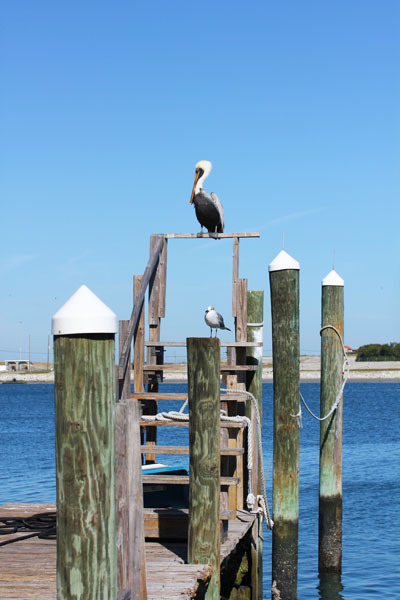 Yesterday we went to Rusty’s Seafood & Oyster Bar on the water to enjoy a nice lunch in perfect weather. 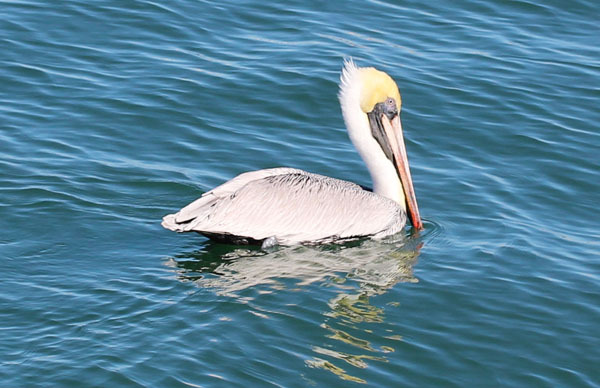 And snap pictures of the local wildlife of course. The menu was mostly seafood, but they did have a $7 lunch buffet where I assembled a loaded vegan plate of salad and bean soup. 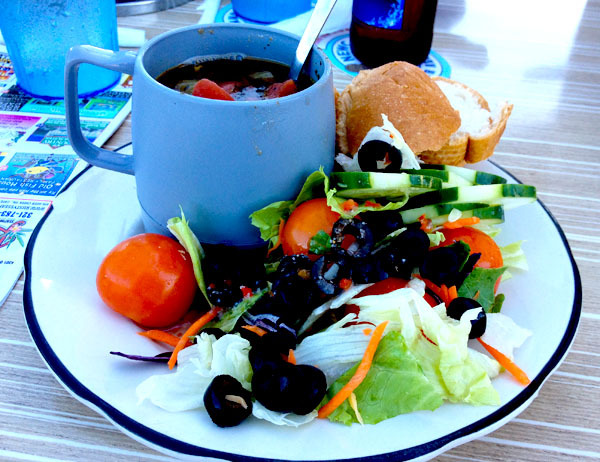 The salad was just eh, but the soup had a nice little kick while being thick and chunky. We’ve also been doing a little experimenting with their dehydrator dipping thin apple slices in a mixture of orange and lemon juice with some cinnamon sprinkled in and drying overnight. The result was a sweet and tangy apple crisp with a light cinnamon flavor, great sweet and light snack. 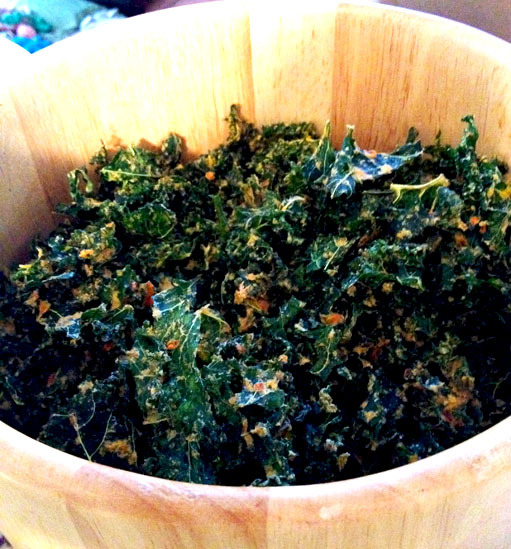 We also created kale chips using this recipe for Cheesy Kale Chips. For the most part they were a hit and I’ve already been asked to make more to send for Christmas. 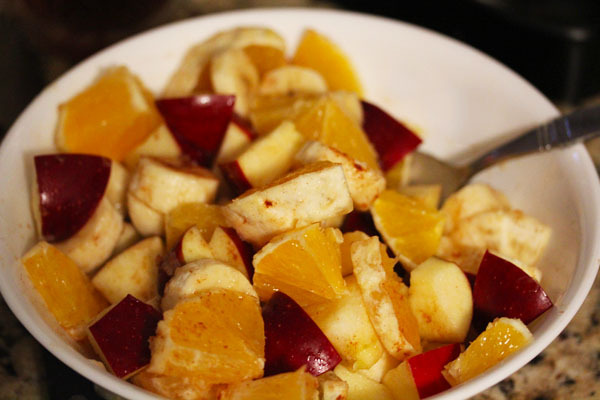 Another raw creation was a fast fruit salad of chopped apples, oranges, and bananas dressed with 2 tbsp. of lemon juice and a light cinnamon sprinkling. Also a tasty hit for being thrown together as a last minute dessert. Today I got to create lunch for the whole family and of course it was vegan. 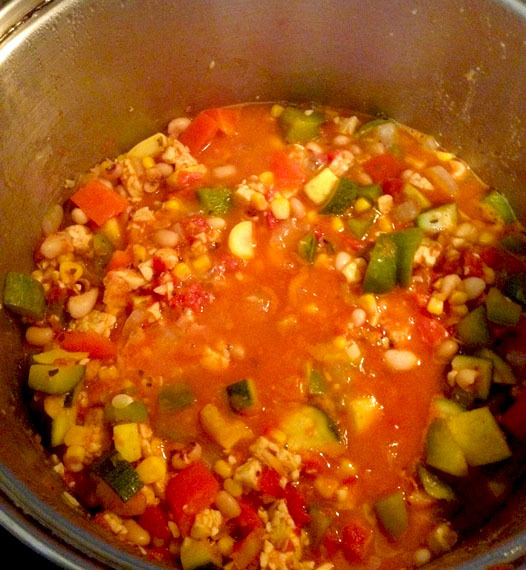 :-) I threw together a variation of this Rainbow Chili recipe using what we had on hand and adding crumpled tempeh to make it more of a one-pot meal. And served it with a side dish of sauteed Tofu Shirataki noodles, tomatoes, spinach, and Italian seasoning. 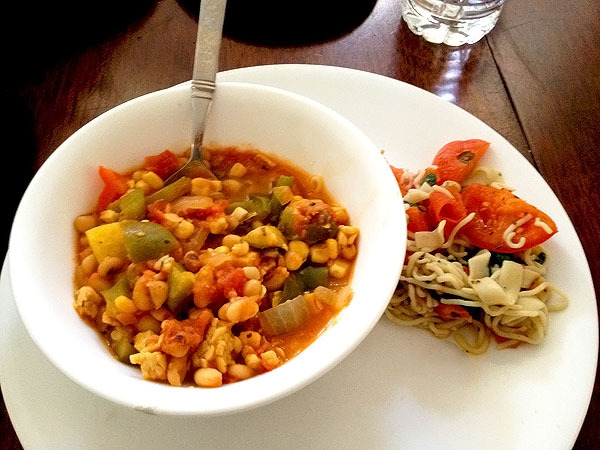 And odd but successful combination and a good way to introduce one of my favorite low-carb pasta alternatives. Draining and rinsing the noodles, then sauteing them in sauce and seasonings does wonderful things for their flavor and texture. 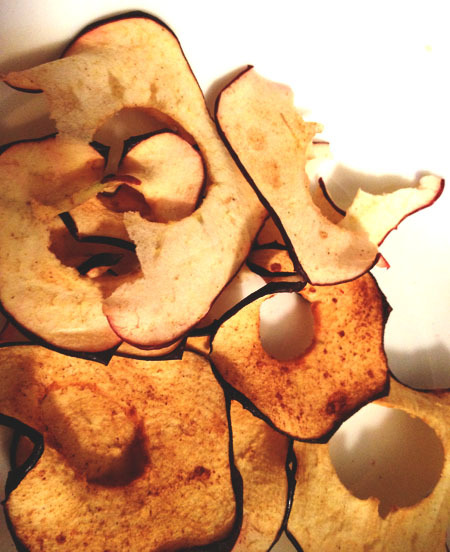 “thin apple slices in a mixture of orange and lemon juice with some cinnamon sprinkled in and drying overnight.” = yum! I would use stevia too…wonder what would happen? intensifed? chemical soup? I dont dehyd enough to ‘play around’ with it but maybe one day. lovin’ the blue blue sky and water pics. so pretty! That would be interesting on the apple slices, but it might be too sweet on sweet apple varieties. I liked the slight tartness from the citrus with the sweet red delicious slices. So true, looking forward to baking squash and trying a tofu dish with the family tonight.